For travelers going on a business trip or for leisure, comfort, cleanliness and location are the three most important things when choosing for your accommodation. 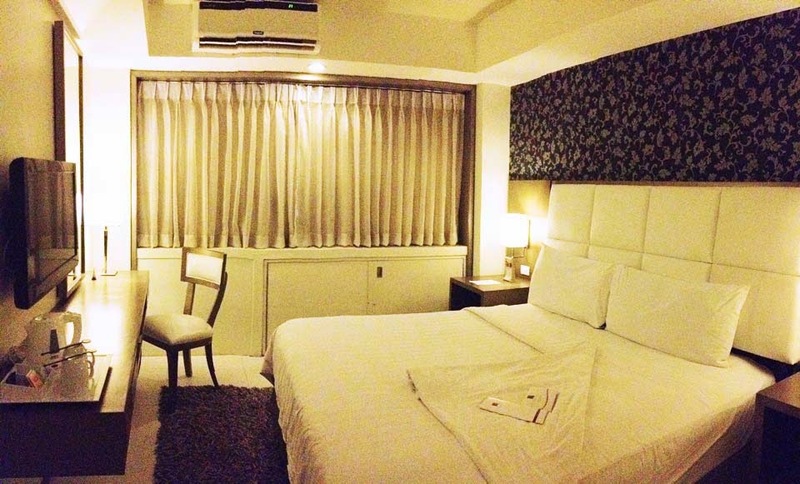 The room must be clean and comfy for you to rest after a tiring day exploring the city or doing your business. But that’s not all. Location is important too. 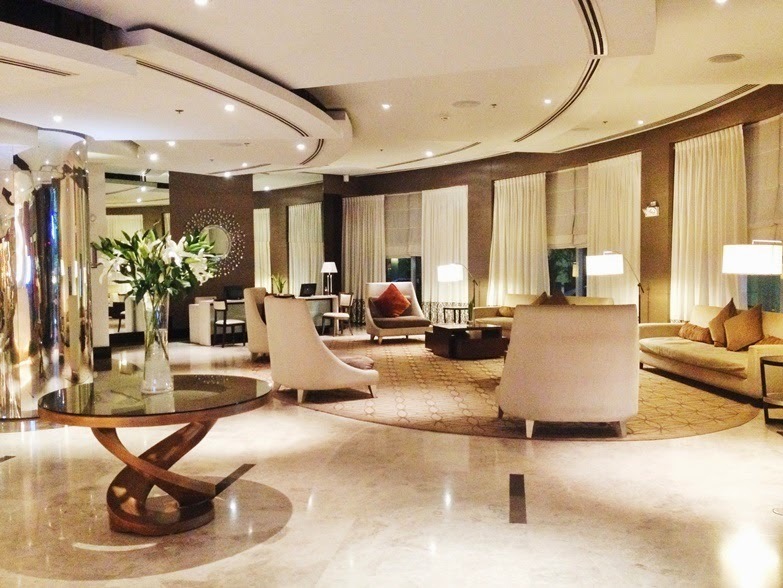 Staying in a city center area when you travel is also a must – especially if your stay is only a short one. You’d want to explore the city as much as you can in the smallest amount of time as possible. 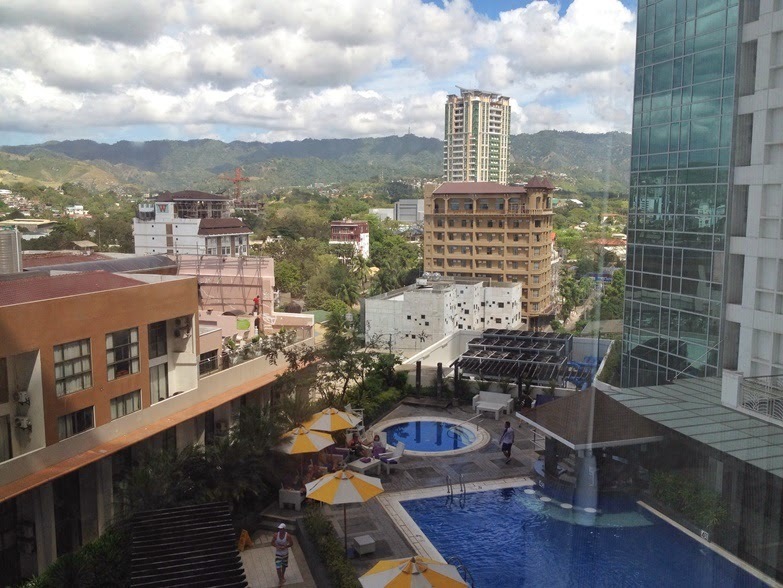 In Cebu, The Philippines, that city center area is near the Ayala Center. And how happy I and Timothy were when we arrived to Cebu City around 7pm, tired and starving, we were so glad to find that just across the street from our hotel, The Quest Hotel Cebu, is the Ayala Center of Cebu. Yay! I didn’t realize it at first, but upon arriving and seeing the hotel logo, I recalled that there is one Quest Hotel in Bali, Indonesia. It turns out that they are in the same group, haha… But… There was a slight difference between the one in Bali and the one that I stayed in Cebu. It was in the lobby design. 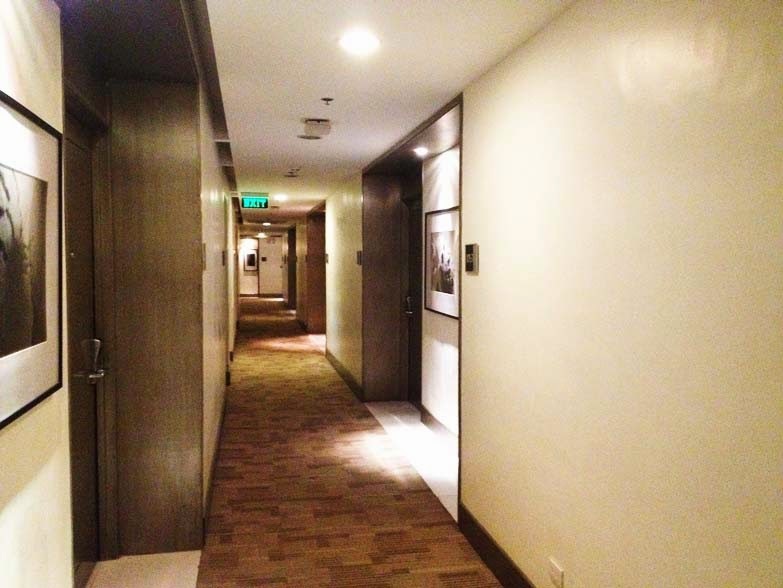 The Quest Hotel Cebu’s design was so modern and chic. It was very simple but it looked so elegant with white as the main color. While the one in Bali, I remembered it wasn’t that chic and stylish as the one in Cebu. Because it is a business hotel, the room was designed to fulfill just what business people need. The room was spacious enough for two with a huge bed that is longing to be slept on, a very cool air con, a super warm blanket, a fluffy carpet and a working table complete with a working lamp and a coffee maker utensils. It’s pretty in its simplicity. The next morning when I woke up, I was very surprised when I opened the curtain and saw this picturesque view. Because when we arrived it was dark already, I didn’t realize that Quest Hotel Cebu has this pretty and scenic hill view outside our hotel window. And the pool adds an extra touch to the beautiful view. 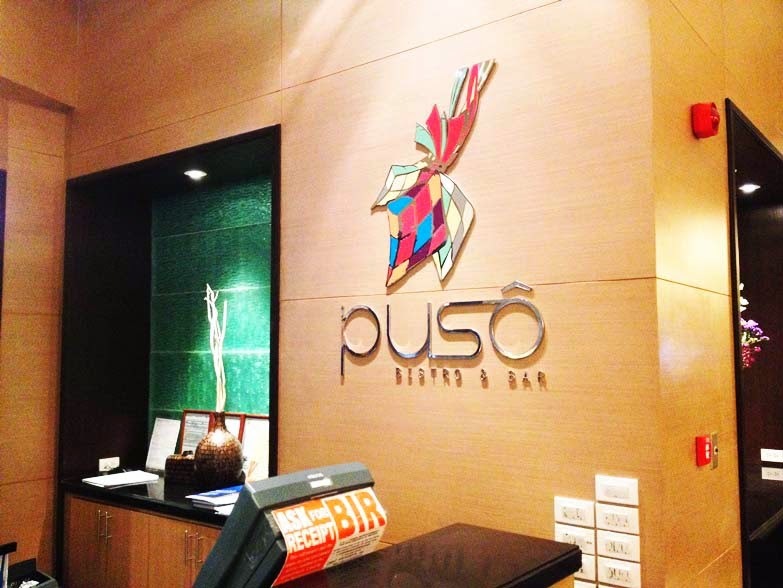 To boost your energy before exploring the city or doing meetings if you're here on business, Quest Hotel Cebu provides breakfast from 6am to 10am in their restaurant called Puso. 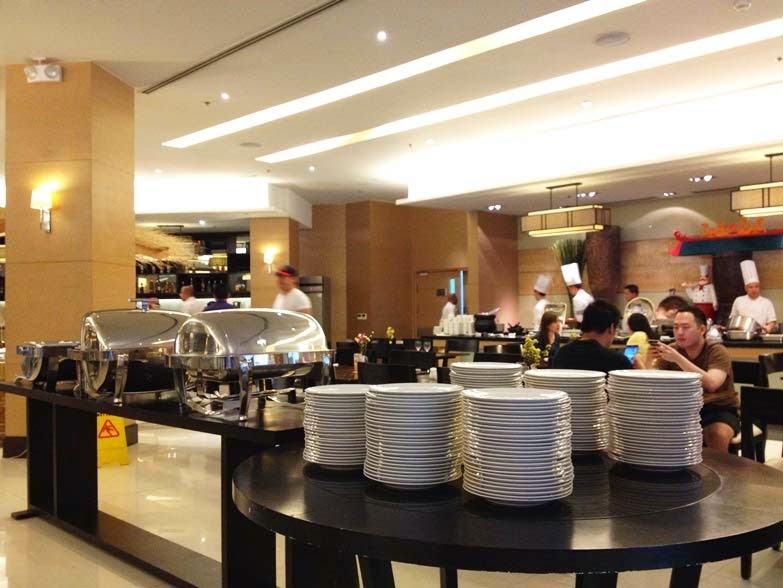 It is a buffet breakfast with a lot of choices, from savory to sweet dishes and of course they also provides desserts complete with ice cream. Yay! The Philippines is known for its pork dishes. It’s like you can find pork in almost every meal time, from breakfast, lunch, dinner to supper. 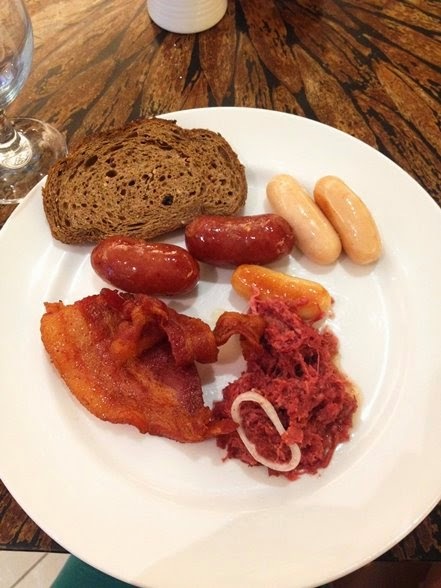 If in regular hotels you’ll only find pork in a form of bacon or sausage, in Quest Hotel Cebu, you can also find it in a form of Chorizo. It’s not your regular pork sausages… It is a Cebu Chorizo. It is a red pork sausage and it’s extremely delicious! Let me repeat, it is EXTREMELY delicious. 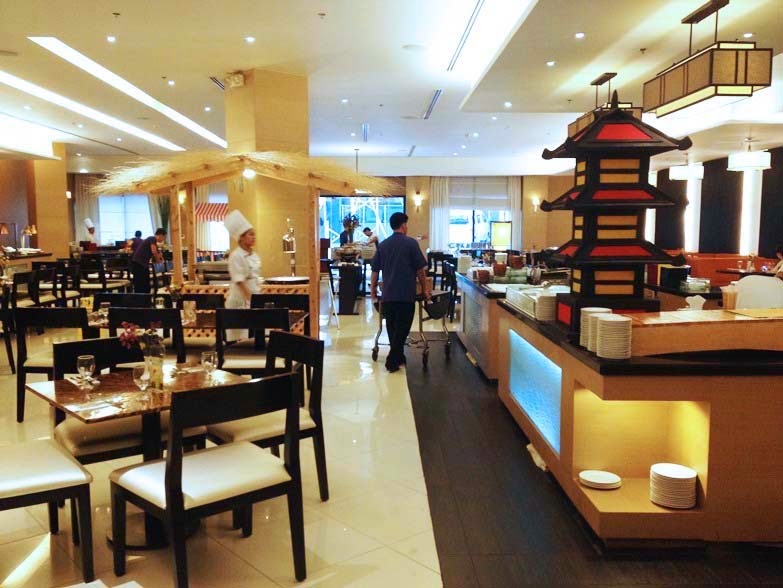 Let’s forget diet while you’re in Cebu and enjoy the pork dishes that they’re famous for, and make sure… Make sure that you try Quest Hotel Cebu’s Chorizo because it will feel fine to eat unhealthy since the very morning because you have that deliciously tasty Cebu Chorizo in your plate. 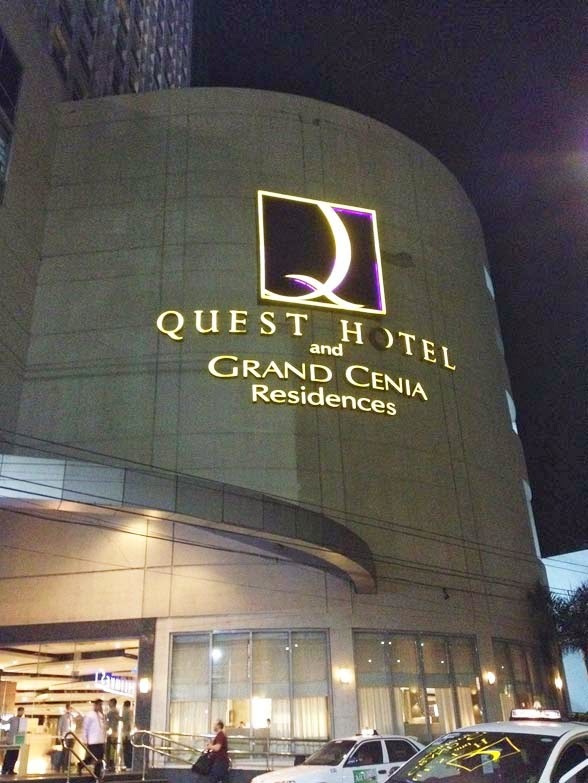 Quest Hotel & Conference Center Cebu is one of our partners during this wonderful trip. 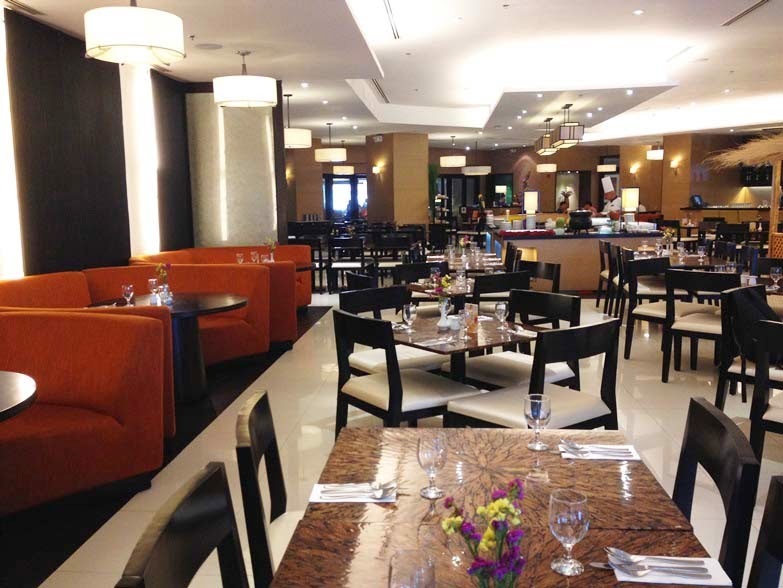 I was a guest of Quest Hotel & Conference Center Cebu and all opinions are my own.